This book begins in 1950 and ends in 1965 and shows the development of how vehicles changed over those years and how the different makes and models started to disappear from our roads not only in cars but the trucks that came and went off the market also. The first Japanese vehicles that came to the State are mentioned which was the start of the trend we see today. 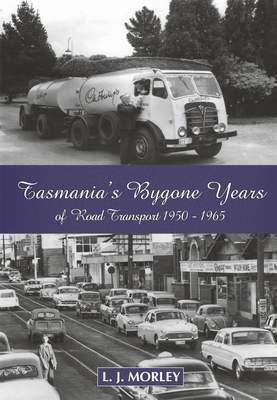 Final book in the series Tasmania's Bygone Years of Road Transport, Les Morley's latest collection of rare photographic material documenting the heritage of transport in Tasmania.